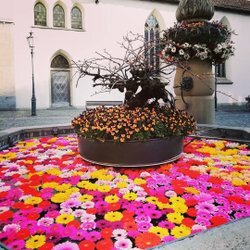 The most popular tour through Zurich´s old town reveals the city´s colorful history. These itineraries show how Zürich Card holders can experience so much Zurich for so little expense. The Swiss national circus celebrates its centenary with many special events and spectacular acts. Dining in style: These Zurich restaurants are housed in history-steeped guild houses. These bars and cafés enjoy cult status in Zurich. Sculptures, monuments and installations enhance public areas in Zurich – but offer much more besides. Verdant parks and fragrant botanical gardens enrich the cityscape of Zurich. This tour through Zurich-West introduces foodies to the city´s restaurants and dining culture. The Zürich Pride Festival is close to my heart. It brings together people from all ages and social groups. 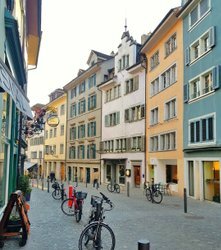 I like places steeped in history, and in Zurich I continually encounter historical charm and glamor. In Zurich, you can do things that you can’t do in other large cities: like head off into the mountains. I love the variety of out-of-the-ordinary façades in Zurich. Which Zurich is the one for you? Let the people of Zurich guide and advise you – their Zurich could be your Zurich. Snowboarder Nicolas Müller values Zurich’s vicinity to numerous ski areas. But that’s not all. With the Zürich Card, you can enjoy Zurich in all its diversity – and save time and money too. 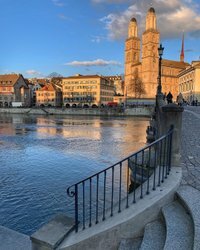 Zürich Tourismus ist als Verein organisiert. ©2019 Zurich Tourism. All rights reserved.